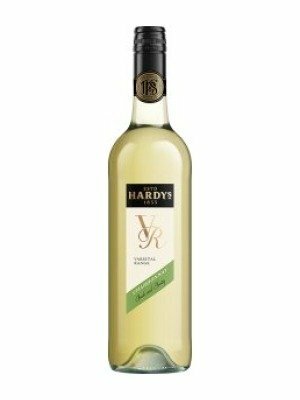 Hardys VR Chardonnay is a popular Australian White Wine available from Tesco Wine in 75cl to buy online. Visit Tesco Wine for the best price for 75cl of Hardys VR Chardonnay or compare prices on our other Australian White Wine products. One of Australia's most admired and highly awarded winemakers Hardys founded in 1853 produce the favoured Varietal Range. Uncomplicated drinking wines of fantastic personality. This dynamic Chardonnay has magnificent melon and peach tones and a stimulating, sharp finish. Where to buy Hardys VR Chardonnay ? Hardys VR Chardonnay Supermarkets & Stockists. You can buy Hardys VR Chardonnay online in most retailers and find it in the Australian White Wine aisle in supermarkets but we found the best deals online for Hardys VR Chardonnay in Tesco Wine, Tesco Groceries, DrinkSupermarket.com, and others. Compare the current price of Hardys VR Chardonnay in 75cl size in the table of offers below. Simply click on the button to order Hardys VR Chardonnay online now.